The vast majority of key decision-makers understand that properly functioning IT is critical to business success. However a large proportion have concerns about existing systems and support. A recent survey we conducted clearly indicated that an overwhelming majority of SMEs would welcome an independent review. Accordingly, Clarion are offering a free of charge one-to-one consultation to assess your existing set-up and provide advice on technology and related processes to help your business move forward more efficiently, securely and productively. 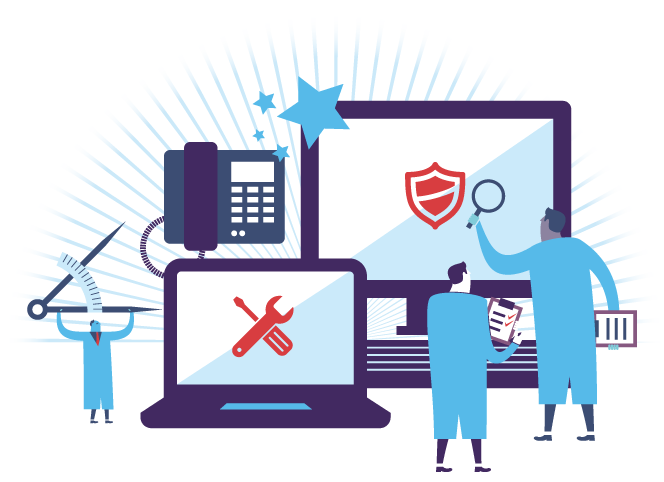 Data protection and access should be at the very core of your business concerns. Incidents of Malware and Data Loss are on the rise and can spell commercial disaster. Protecting your critical information from unauthorised access, misuse or destruction needs to be a key priority. This irreversible trend towards remote and flexible working practices can create substantial productivity gains. Data on the move and BYOD (bring your own device) implementation can also carry major security concerns. Careful implementation is key. Allow us to take you through the pros and cons of Cloud adoption. We will look at how services, such as Microsoft365 and Amazon Web Services (AWS), can integrate with or supersede existing systems with the potential to bring huge business benefits. While we believe that investment in your ICT is crucial, we also understand that budgets must be met. We will audit any or all areas of your IT spend to help generate savings. We can also put together a cost-effective IT Support Package tailored to your specific needs. Technology Should Help, Not Hinder Your Business. 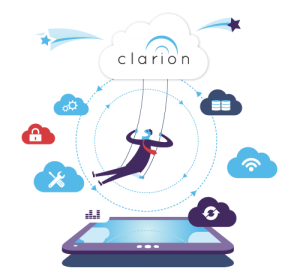 At Clarion we have been providing tailored Technology Solutions and Support Services to a broad spectrum of companies across multiple business sectors. We are able to draw on 20 years of experience and a wide range of technical expertise to help our clients with all their IT requirements. Simplifying complex and leading-edge solutions is where we excel. Book your one-to-one session today and take a positive step towards your future IT strategy. Click on the below link and one of our team will be in touch.